It may not be becoming to speak of one’s age, but I am not afraid: I am nearing fifty rapidly, and happily. When menopause started hitting, like so many women, I experienced sudden weight gain. 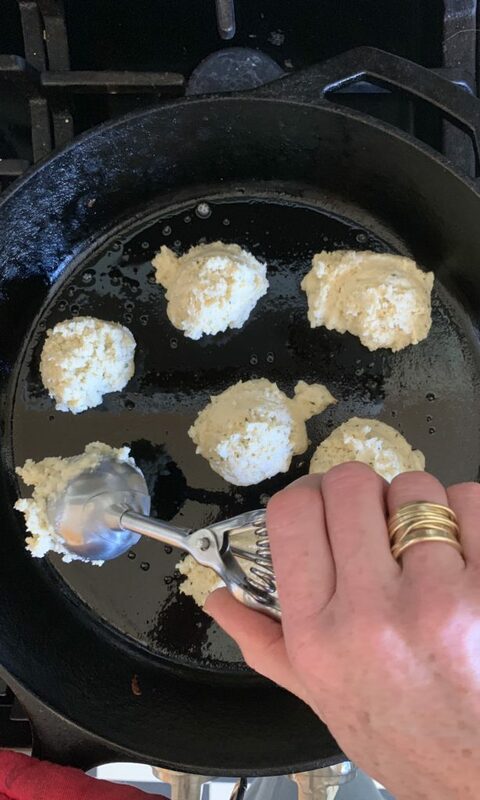 If you have been following me for a while, you will know that I love to eat – and cook! The combination was going to be a problem. 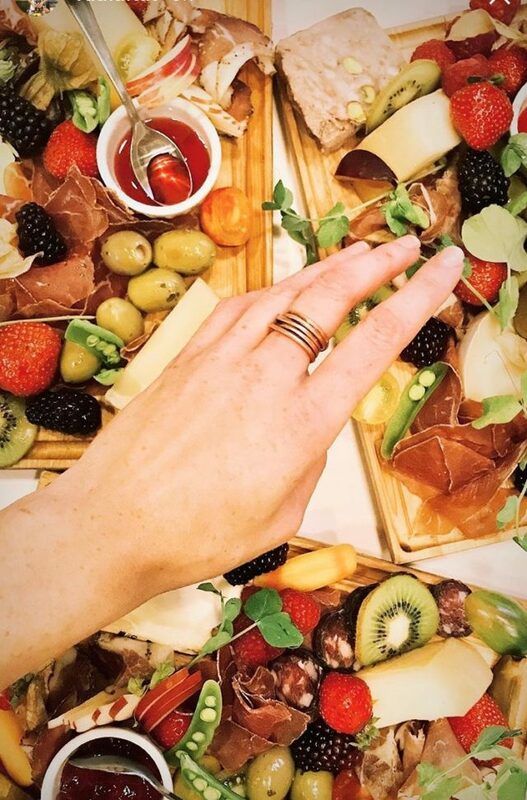 I tried portion control – I really did. But I love food so much, it made me feel rotten and deprived. Being the analytical person I am, I took a good look at my intake, and basically pretty quickly determined that, regarding calories, the least bang for the buck were those delicious empty carbs: bread, pasta, rice. And of course sugar. I didn’t want to go crazy, but I needed a clear boundary. So I simply said: no grains, no refined sugar. And tons and tons and tons of vegetables. I lost almost 30 pounds quite rapidly. So I stuck with it! I don’t call it a ‘diet’, I call it a lifestyle. It’s been about 3 years, and I joyfully continue. I am consistent with it, but sometimes, I just drop it for a special occasion. One thing I learned is to bake low-carb (I only found out much later that ‘paleo’ was a helpful term for finding recipes). And because I love sharing things I am excited about, I wanted to share a recipe with you here. This one is for low-carb biscuits. 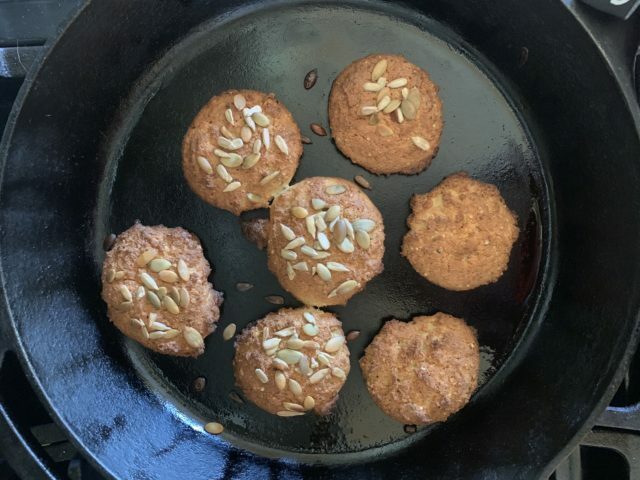 These take out 5 minutes to make (15-20 to bake), and are only 4-5 grams of carbs in each (as comparison, a slice of whole-wheat toast has 13grams). Not low-carb enough for a keto diet, but just right for me! I have been experimenting adding things: seed mixture on top, or grated cheese folded in. Give this a try if you are curious! And let me know if you like the idea of sharing recipes here! and in it an iron skillet of heavy baking sheet. 2. Mix your dry ingredients in a larger bowl with a dry wire whisk: almond flour, coconut flour, hemp seed, baking powder, baking soda, and salt. 3. Then, with the same whisk, mix your wet ingredients: egg, sour cream, melted butter, cream, and water (or egg, coconut milk, lemon juice, and coconut oil). 4. Now mix the wet ingredients into the dry ingredients using just a few quick yet effective strokes (make sure to do this quickly, as the coconut flour absorbs liquid rapidly). Don’t over-mix this soft dough – just leave it be. 7. 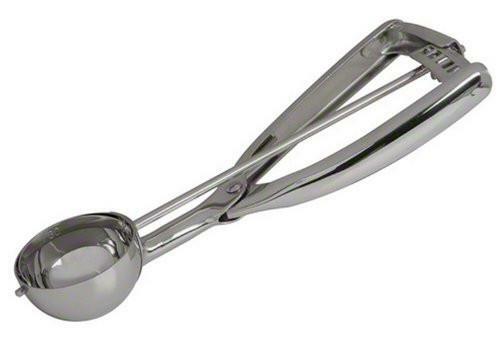 Drop small heaps of dough onto the skillet, ideally using a mechanical portioning scoop (such as this one), or a Tablespoon. 8. Return the skillet to the oven and bake for 12 to 15 minutes, or until golden. 9. Remove from the oven and let cool for 10 minutes before eating. 10. Serve warm with butter and a nice cup of tea. And, ideally, a friend.